It's Thursday again! Thank you to everyone who linked up last week! 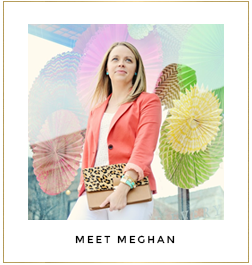 This week we are thrilled to welcome our co-host, Jenn of The Brandied Pair, to the party! We are looking forward to seeing your posts this week! So get linked up, meet some new blog buddies and check out these fabulous ladies while you're at it! We love how Maggie of the Moda & the Mar mixed two bold patterns - such an unexpected pairing! Gingham is one of our favorite prints, and the riding boots complete the look perfectly. How great are Annick from Bold Subtlety's coated denim pants?! If you are intimidated by coated denim, this is a great way to ease into them. We love how she paired them with a classic striped sweater, a pair of booties and a pop of bling! 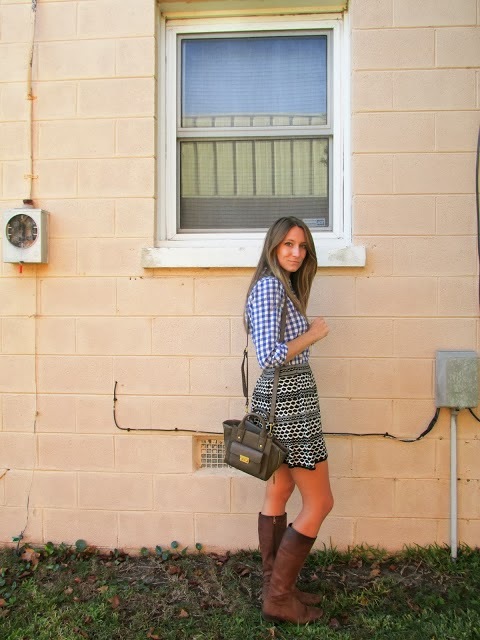 Kristin of Wild One Forever looks stunning in her jacquard skirt. It combines two of our favorite fall trends - leopard and burgundy! The shape of the skirt is very flattering, and we love how she patterned mixed by pairing it with a classic striped top. Your post can be about anything fashion related! Think of it as show and tell for your favorite post that you have worked so hard on! We do ask that you please follow Everyday Fashion and Finance, Perfectly Coutured and this week's co-host, The Brandied Pair, in order to link up. Also, don't forget to post a link back to Three-fer Thursday so that people can come visit! Feel free to use the button below or you can create your own text link if you prefer.